Shortly after the death of Willem Frederik Strietman (1918-2001), his wife Antoinette Strietman-Schrijver established a personal fund under the auspices of the Prins Bernhard Cultuurfonds. Entirely in the spirit of Willem Strietman, the fund has offered occasional support to activities in the music world and to issuing a CD of her husband�s music. 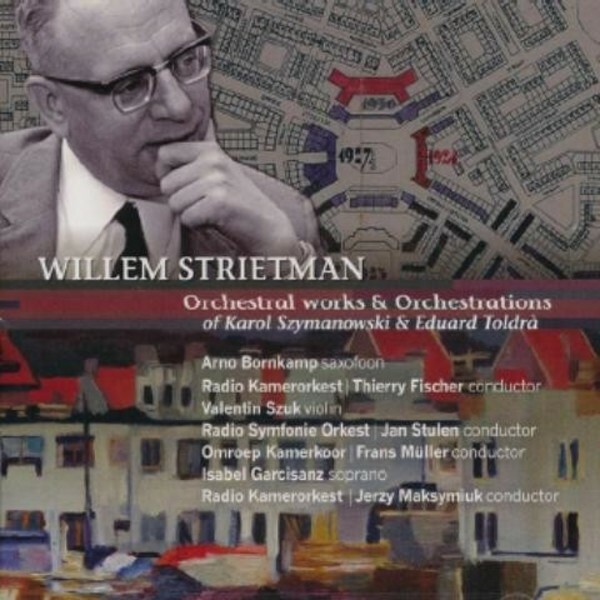 With the assistance of the conductor Jan Stulen, who has directed many works by Willem Strietman, and Lourens Stuif-bergen, a former theory teacher at the Amsterdam Conservatory, a number of recordings were listened to in The Netherlands Institute for Sound and Vision, resulting in the selection of two original works and two orchestrations for the CD.